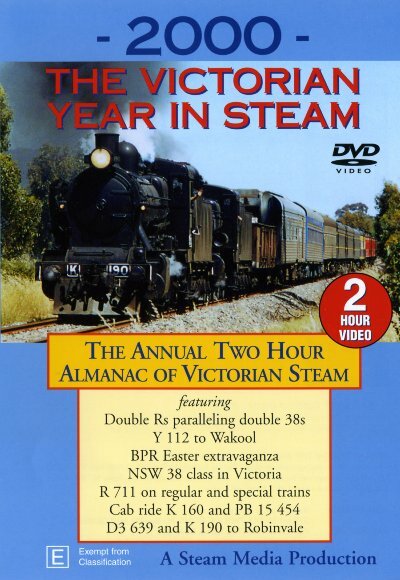 "2001 The Victorian Year In Steam": Twenty one different locos in a variety of single, double, triple and even quadruple headed combinations provided memorable sights in 2001. Steam action was at a premium on both main and tourist lines as four locos steamed again after overhauls, one made a final journey and a variety of special events took place. We have re-released this very popular VHS title as a fully authored, 4 chapter DVD. The usual excellent production standard has translated superbly to DVD in this all colour, all digital production which recorded the 2000 Victorian rail scene. So much has changed in the past few years and this title is a superb historical record. Many scenes are simply not possible any more..
Kyneton and Frankston signal boxes and much more! Recorded on digital cameras (mostly 3CCD) and digitally edited and mastered. All colour, all original sound. Tony Marsden, Yuri Sos, Bruce Williams, Asheleigh Marsden, Norman Crothers, Colin Pike, Trevor Staats, Andrew McDonald, Keith Buckland.